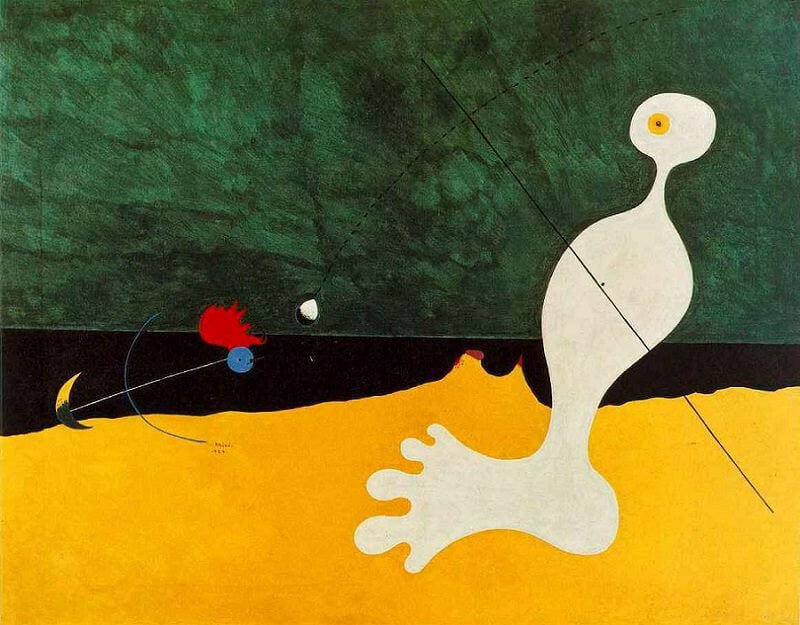 Person Throwing a Stone at a Bird was painted by Joan Miro in 1926. 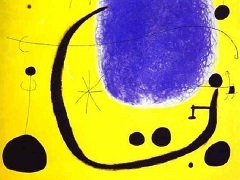 In this painting, Miro basically used two simple colors: blue and yellow to depict a strange figure consisting of the soft curves with a bird behind it. 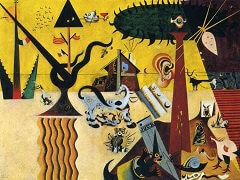 Miro was one of the key Surrealists of the twentieth century. Younger than Duchamp, Max Ernst, and Picasso, he learned about the avant-garde of Paris second-hand by seeing reproductions of their work at galleries in his native Barcelona. 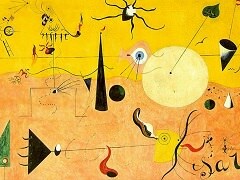 Miro's paintings often did not have specific shapes, but had a few lines, embryos, and casual shapes which were similar to those in children's scribbling stage. 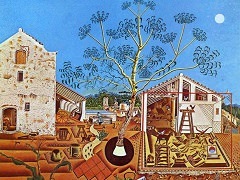 The scenes in paintings were often free and lively. 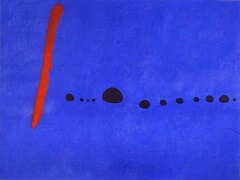 As Miro himself said, "When I am drawing, the painting under my brush starts to narrate or imply itself. When I am working, the form becomes a woman or the symbol of a bird...The first stage is free and subconscious." However, "the second stage is carefully planned." 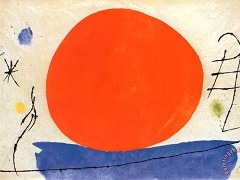 Celebrated as one of the greatest modern artists, Miro developed a visual language that reflected his vision and energy in a unique styles across many media.